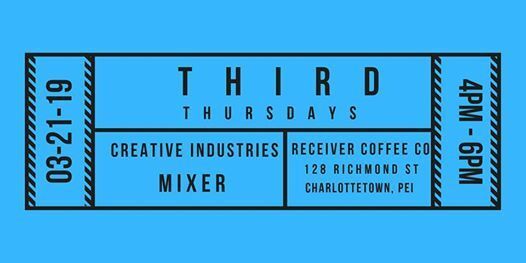 Third Thursdays is a fantastic opportunity to network with members of creative industries, meet the cultural development team, reconnect with your industry colleagues in a casual environment and enjoy some complimentary snacks! Come on out and find your next great collaborator. are you a professional writer/publisher? are you a professional filmmaker? are you working in theatre? are you working as an arts administrator? do you work for a cultural and/or creative organization? do you work in applied arts (ex: graphic design, video gaming, culinary, fashion)? If you answered yes to the above questions we want to see you at Third Thursdays! The arts are at the heart of all creative industries. Design (such as interior, graphic, architecture, industrial, fashion and engineering), marketing, publishing, video production, gaming and virtual reality, fashion, and the beauty industry are all artistic pursuits. Music recording, broadcast, print publication, podcast, blogs, and other digital storytelling are all artistic pursuits. 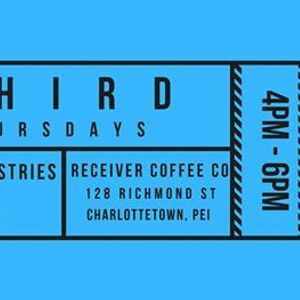 Third Thursdays is a bi-monthly event that takes place on the 3rd Thursday of that month across Prince Edward Island. We are encouraging all creative Islanders to get out and meet up with their colleagues from across the province.